Scientists at Stirling University are suggesting new national guidelines be drawn up to protect bats and birds from domestic wind turbine developments. 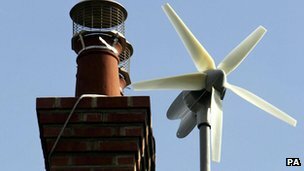 Research by the School of Natural Sciences found wide variations in the planning processes for micro-turbines. In some council areas, an ecological survey is not required before construction. The researchers are calling for greater collaboration between ecologists, planners and the renewables industry. Trump’s Administration Increases risks of Poisoning Bald Eagle. Wind Turbines Could lead to the Hoary Bat Extinction. Obama’s regulation on wind turbines will kill up to 4200 bald eagles per company.